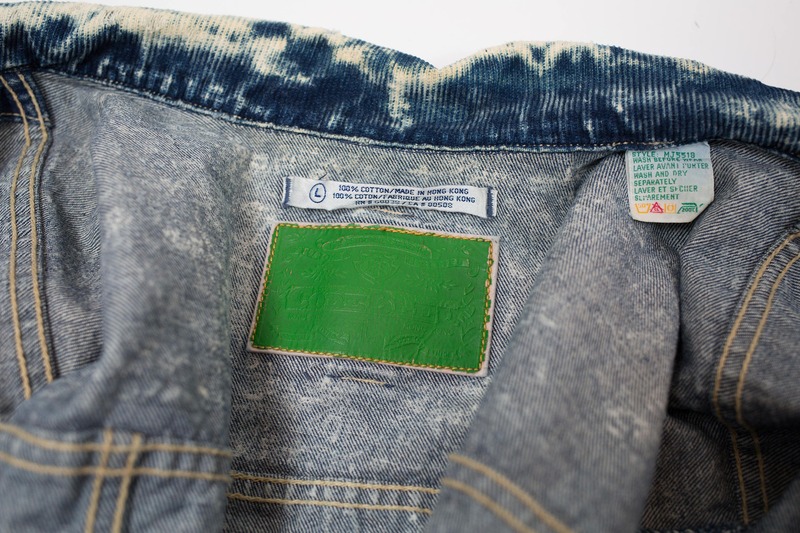 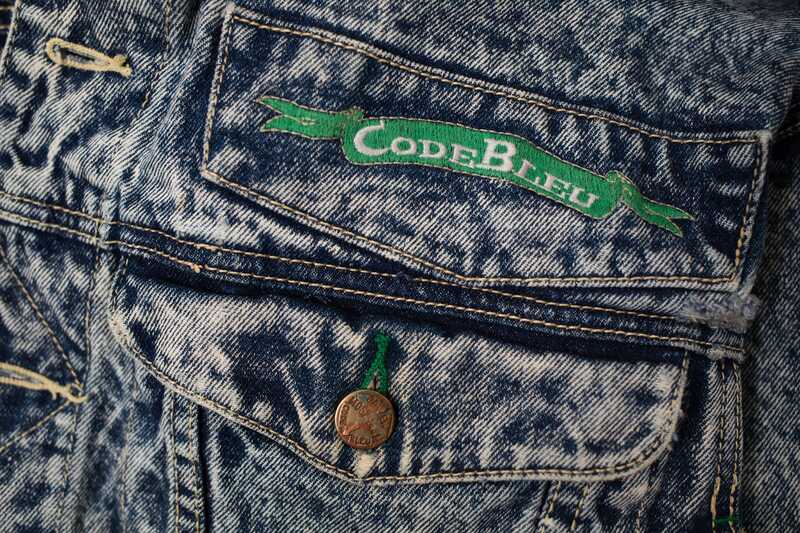 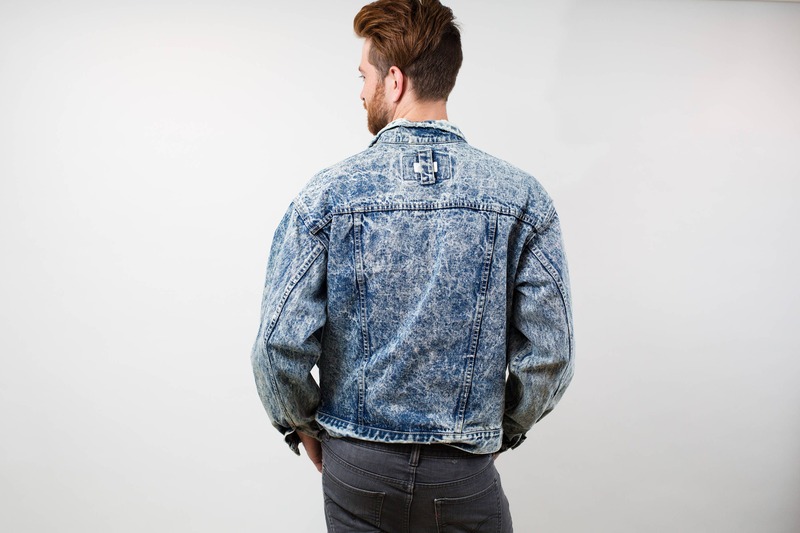 This is a fantastic 1980's blue acid wash jean jacket by Code Bleu. 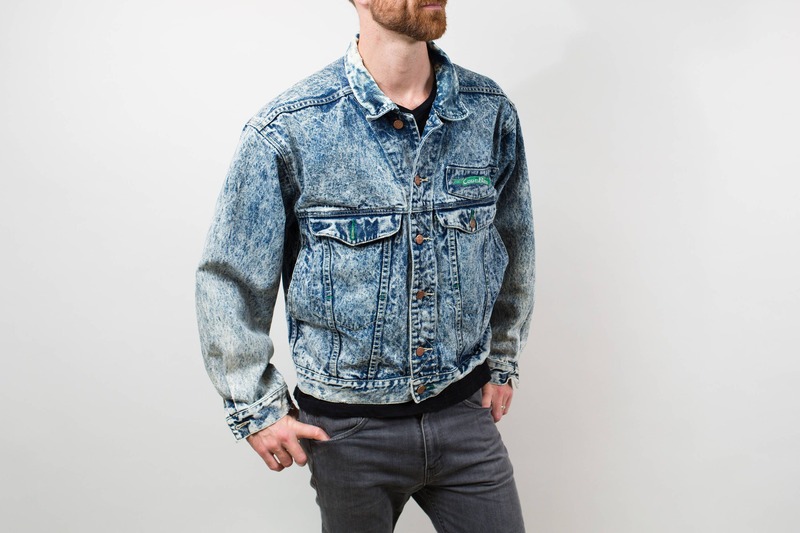 It buttons up at the front and has 2 breast pockets with buttons. 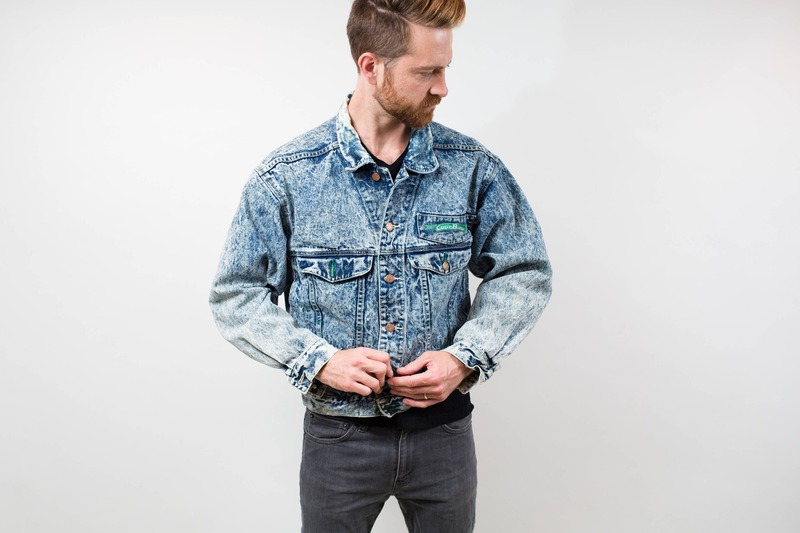 Great autumn or spring jacket.